In a relief to Karti Chidambaram, the Supreme Court today extended the protection from arrest granted to him by the Delhi High Court earlier in the day from March 22 by another four days to March 26. Enforcement Directorate (ED) is seeking his arrest in the INX Media money laundering case. Significantly the apex court also transferred to itself all matters pending before the Delhi High Court pertaining to the ED matter. “We feel this is essential in view of several High Courts giving conflicting views on interpretation of section 19 of the Prevention of Money Laundering Act (PMLA)” which relates to ED’s power to arrest an accused”, the bench headed by Chief Justice Dipak Misra which also comprises of justices A M Khanwilkar and D Y Chandrachud said. The court said it will next take up the case on March 26 and answer the question regarding the interpretation of section 19 of the PMLA. SC order came hours after Delhi High Court extended Karti Chidambaram’s protection from arrest in the ED case fromMarch 20 to March 22. 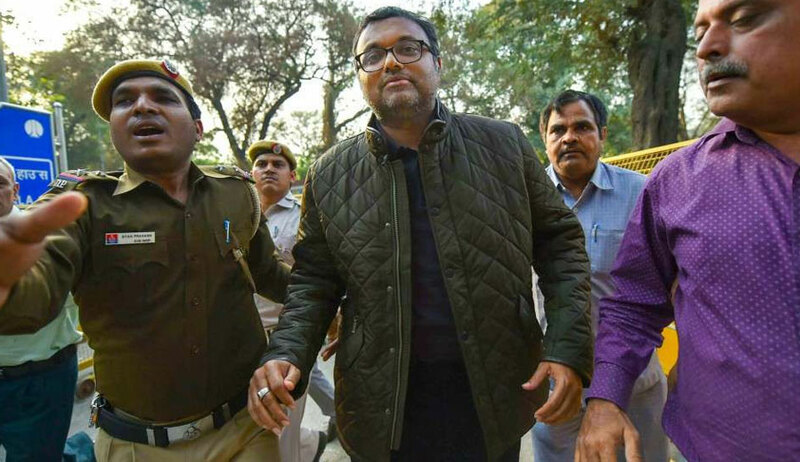 On March 8 , after the Supreme Court, for the second time in a row, refused to grant interim protection against the possible arrest by the ED under the anti-money laundering law, Karti had rushed to the Delhi High Court for relief on Thursday. SC had then asked the Chief Justice of the Delhi High Court to post the case on March 9. Today the Supreme Court brought back the case before itself. Earlier Additional Solicitor General Tushar Mehta who appears for ED and CBI in the case had contended in SC that Karti’s petition for interim protection was an abuse of the Supreme Court’s jurisdiction in order to get anticipatory bail.